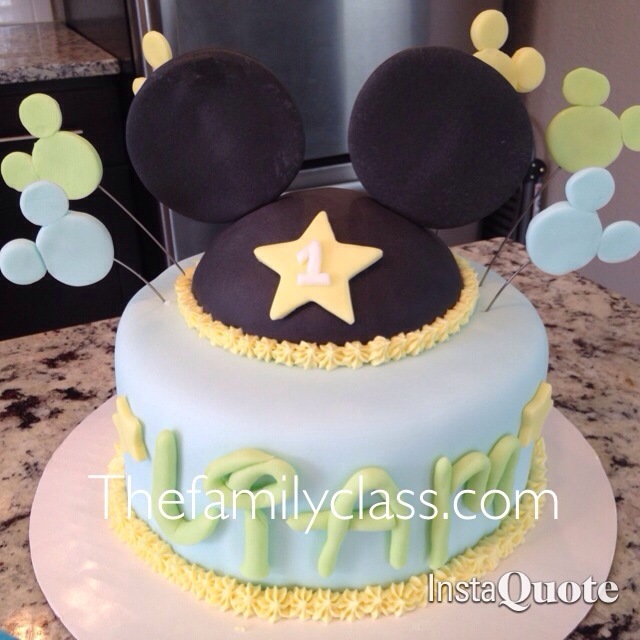 Categories: My Cakes | Tags: cake ideas, fondant cakes, mickey mouse, mickey mouse cales | Permalink. 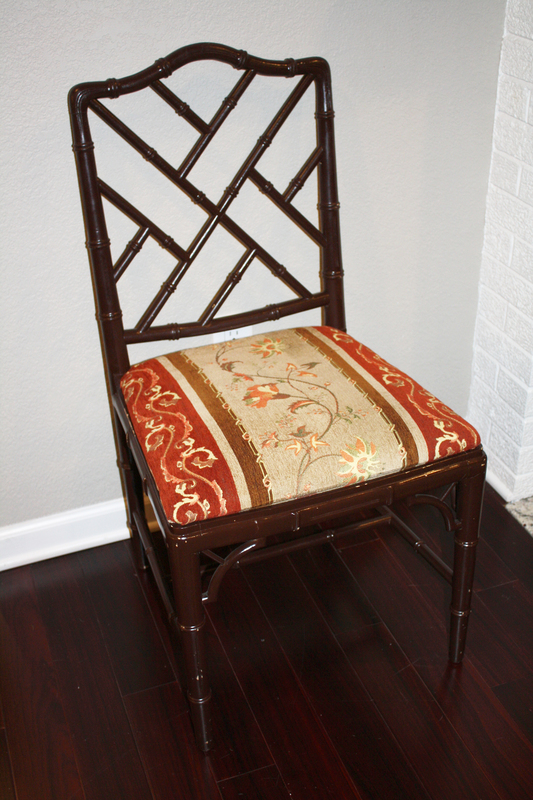 I have been waiting patiently since we moved in to this new house to give this set of chairs a little upgrade (they were covered in shiny brown paint and fabric that just didn’t match in our house). But then my sister thought of a charcoal color and I was sold. Although I wish I was more adventurous with color in my decorating (from seeing all of these beautiful colorful, Pinterest homes) I just can’t seem to breakaway from my grey habit/slightly masculine color taste in design. 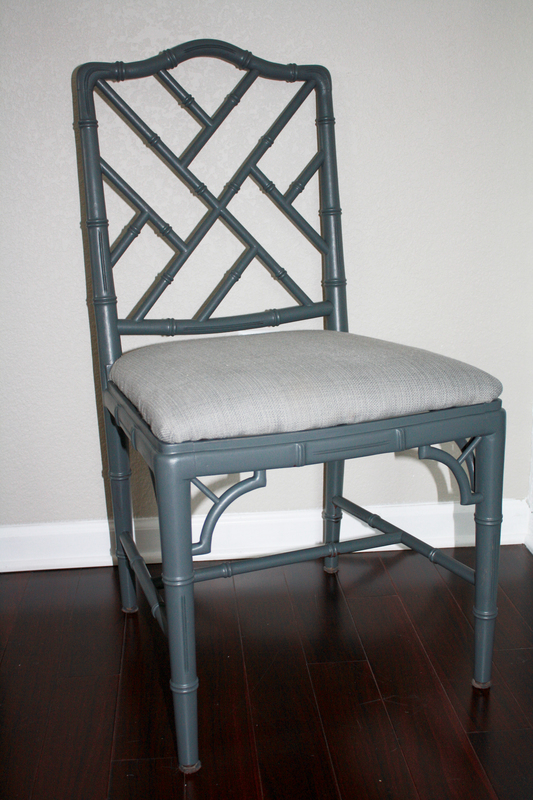 I’ve wanted Chinese Chippendale chairs since I can remember. I’ve always loved the style. So I updated mine with a light grey linen tablecloth (cheaper than buying fabric! ), a test-size can of paint in charcoal grey, a hand sander and a staple gun. Up here in Wisconsin, where the temps are currently -12 (-35 with the windchill), we’re stuck inside with nothing to do but bake! 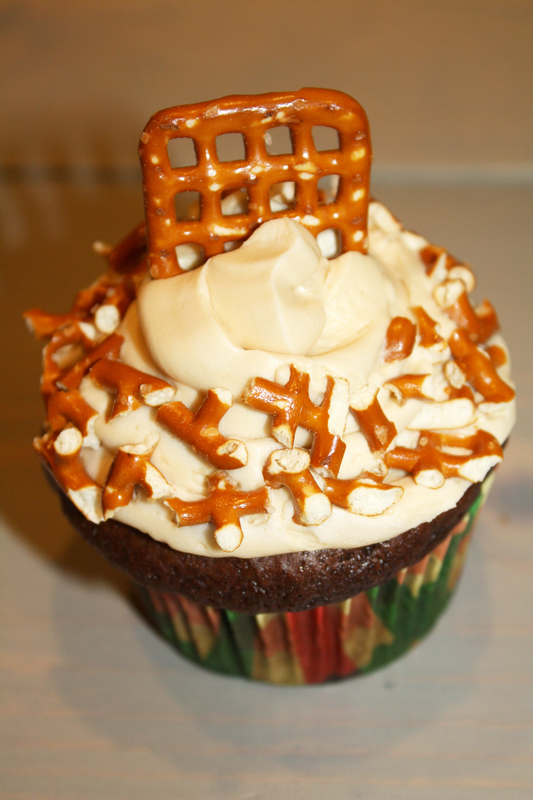 So I made homemade chicken soup and my favorite kind of cupcakes: Salted chocolate caramel pretzel cupcakes. 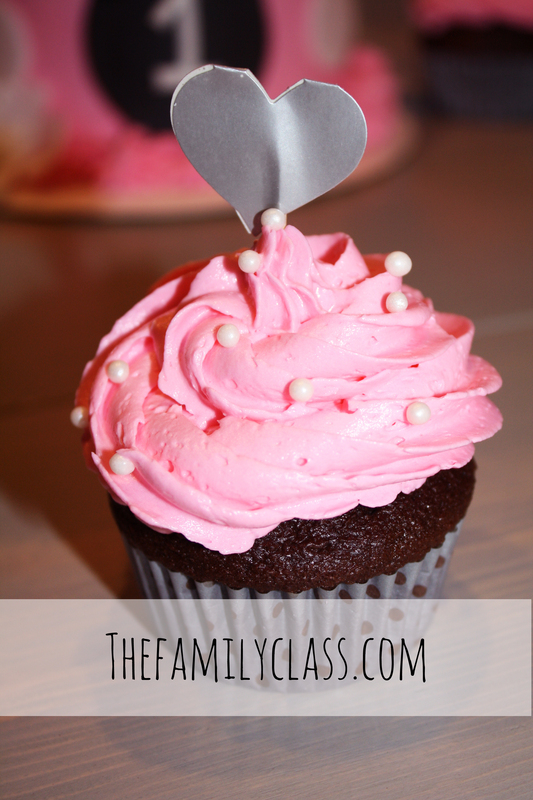 Use your favorite boxed chocolate cake mix to first quickly make the cupcakes. Or, I like to use this recipe (minus the frosting) for my chocolate cakes from scratch. Next is the salted caramel buttercream. This recipe uses butter, whipped cream, vanilla, powdered sugar, and salt. 2 sticks UNSALTED butter softened (but not melted!) The ideal texture should feel like ice cream. I can’t stress this enough: perfect frosting is almost 100% the right consistency of the butter. I microwave mine on 1/2 power and watch it very carefully for about a minute. Beat the butter for a few minutes with a mixer on medium speed. Add 3 cups of powdered sugar and turn your mixer on the lowest speed (so the sugar doesn’t blow everywhere) until the sugar is incorporated with the butter. Increase the mixer speed to medium again and add vanilla extract, salt, and 4 tablespoons of cream and beat for 3 minutes. 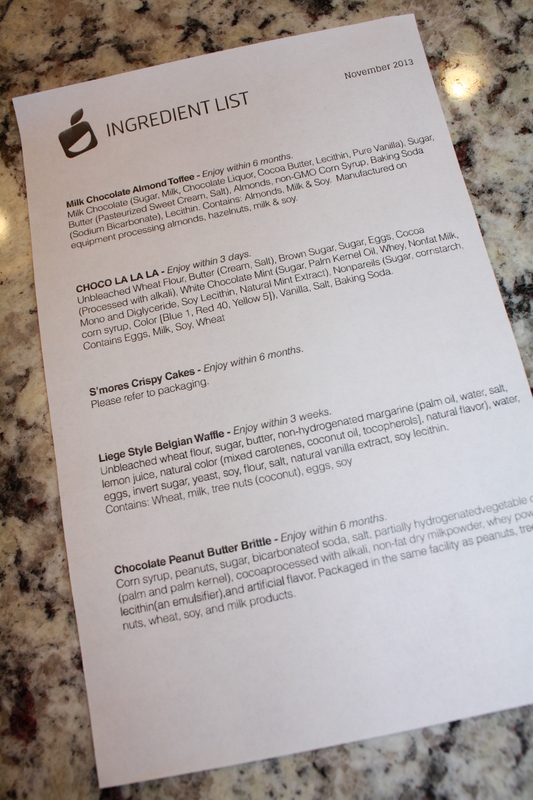 Categories: My Cakes, Uncategorized | Tags: caramel buttercream recipe, salted caramel pretzel chocolate cupcakes | Permalink. 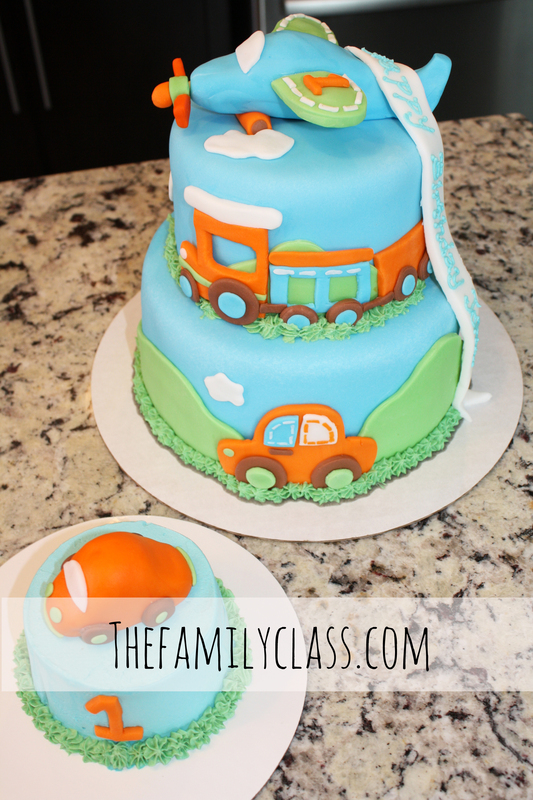 In addition to the blog, I also make cakes in my spare time. 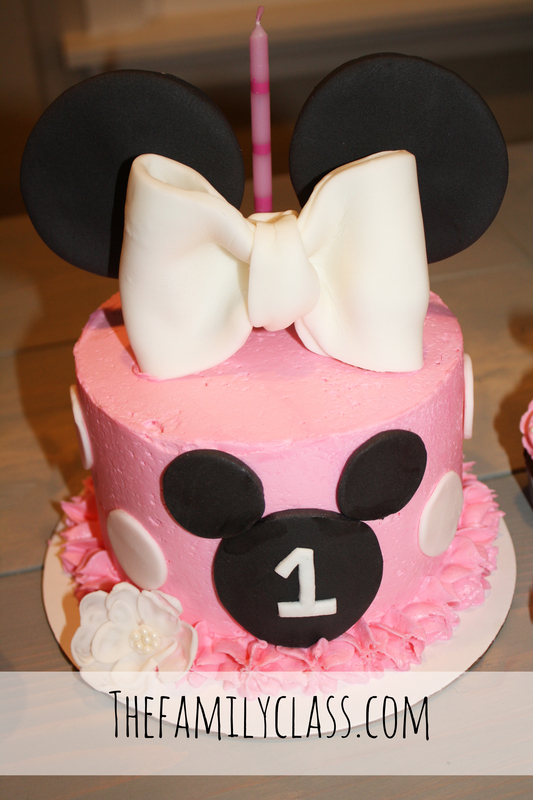 I’ve been busy making cakes all weekend, and have been away from the blog for a little bit. 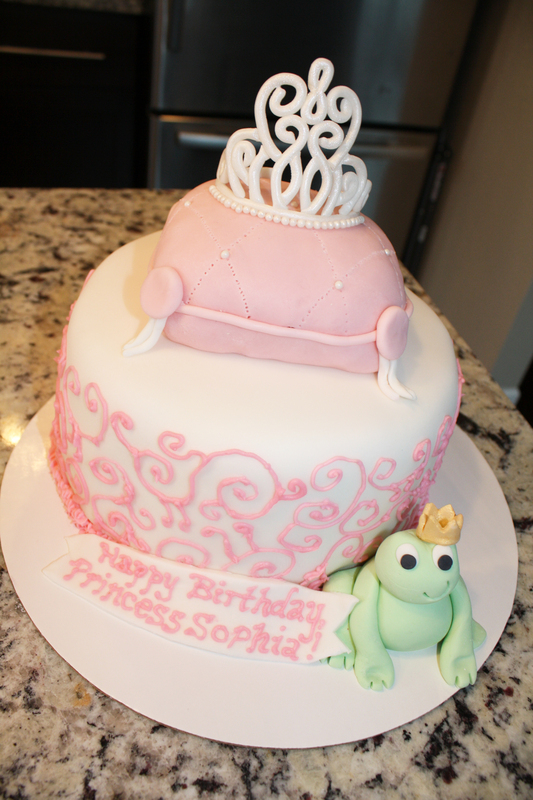 These were definitely the most challenging cakes I’ve done to date, but I’m pretty happy with how they turned out! What do you guys think? I’d love some feedback! 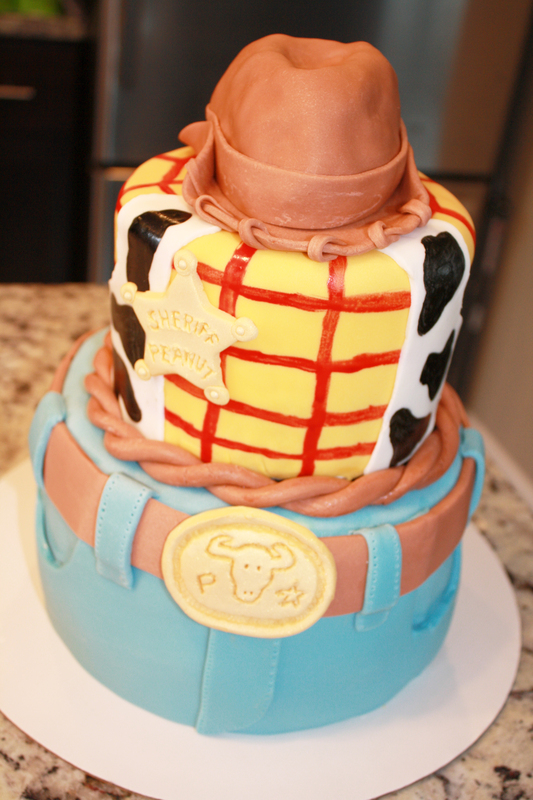 Categories: My Cakes, Uncategorized | Tags: fondant, My Cakes, princess, toy story | Permalink. 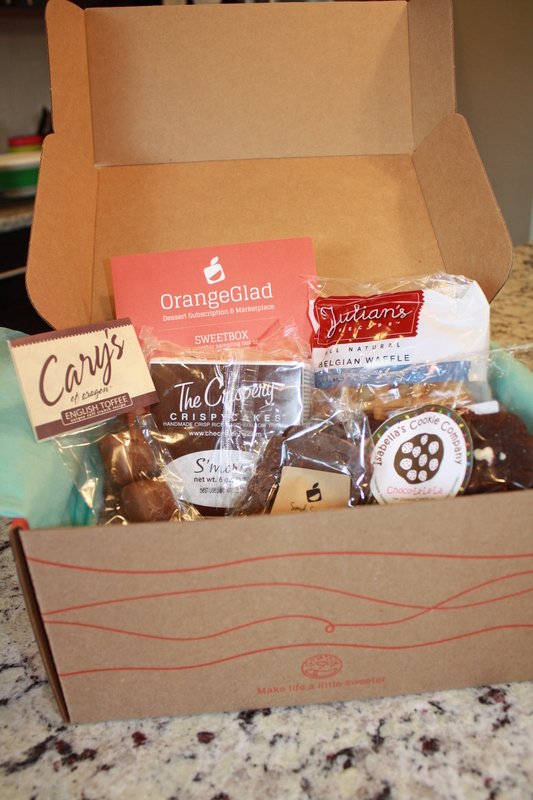 Orange Glad Review and EXCLUSIVE Promo Code- A Dessert Box Subscription- SAY WHAT??? 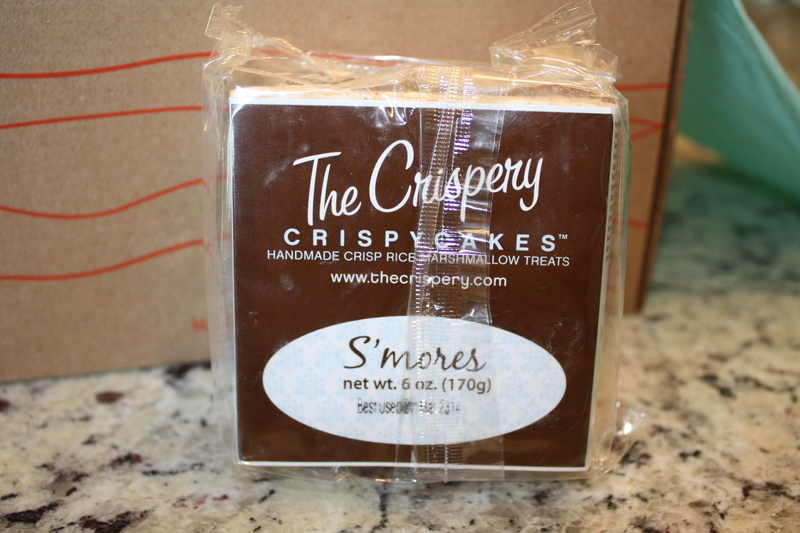 We were so thrilled when the nice folks at Orange Glad offered to send us a box to review. Orange Glad sends an assortment of desserts in the mail every month, and although we try to eat healthy over here at the family class, we both have a sweet tooth and we enjoy gourmet sweets. Orange Glad: $19.95/month. Orange Glad is a assortment of gourmet sweets delivered straight to your doorstep every month. 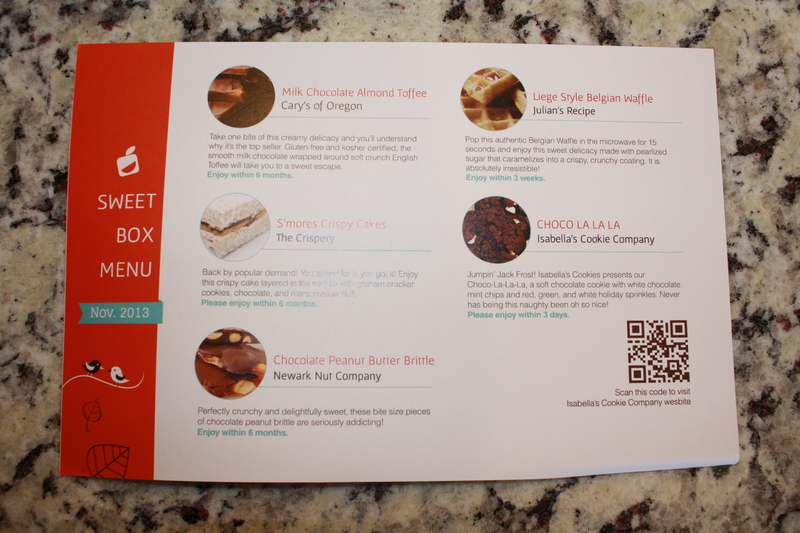 Our box contained five different types of treats. It also came with two inserts as well. The first one told us about all the treats and the companies that made them. The second insert was an ingredients list. I always love when companies include ingredient lists, because I have Celiac (so I eat mostly gluten-free) and I like to know what the ingredients are! Seriously. He’s like a dessert vulture. From the info card: Cary’s Toffee is made from a mouth-watering blend of sugar, butter, milk and a hint of vanilla extract. 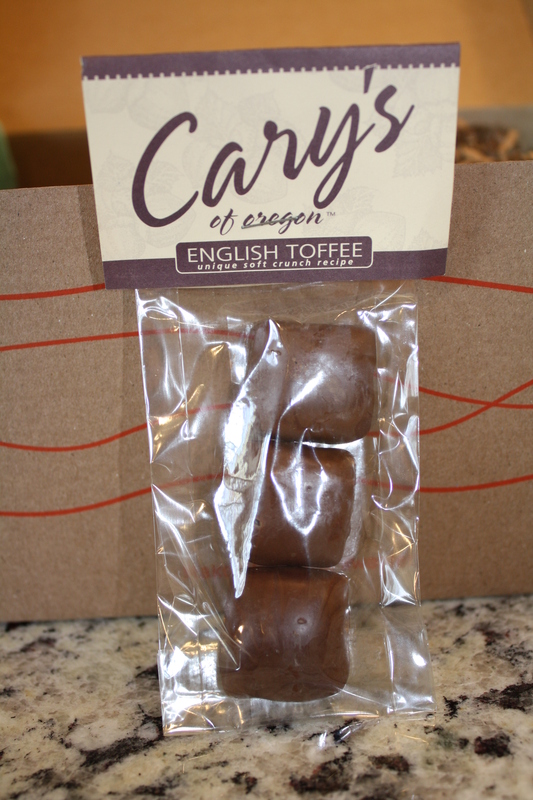 Cary’s of Oregon creates award-winning toffee based on family tradition. 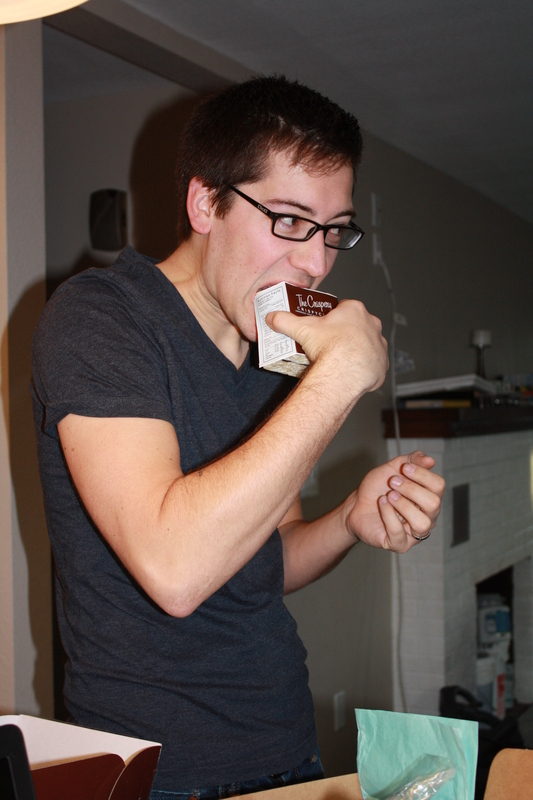 These were delicious. I love toffee. It’s one of my favorite types of chocolate. I claimed these right away! From the info card: European Belgian dessert waffles are steadily gaining popularity in the United States. These treats are made with pearlized sugar that create a dreamy caramelized coating on the outside, yet the inside of the waffle is still perfectly soft and fluffy. 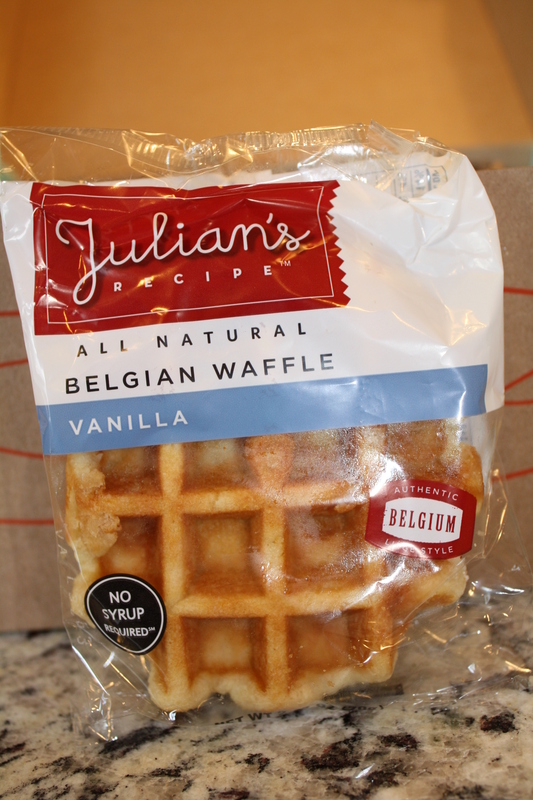 Julian’s Recipe Liege Style Vanilla Belgian Waffle has a subtle sweet flavor and can be enjoyed during any time of the day. These were seriously magical. My sister and I tried this one on Black Friday. We both loved it! I only wish I had more. I’m going to be ordering these for sure. It was a keeper. Soooo… my sister and I may have also eaten these for breakfast on Black Friday. Hey, no one ever said Black Friday breakfast had to be healthy. My favorite thing about the winter season is all of the holiday-themed treats that emerge. 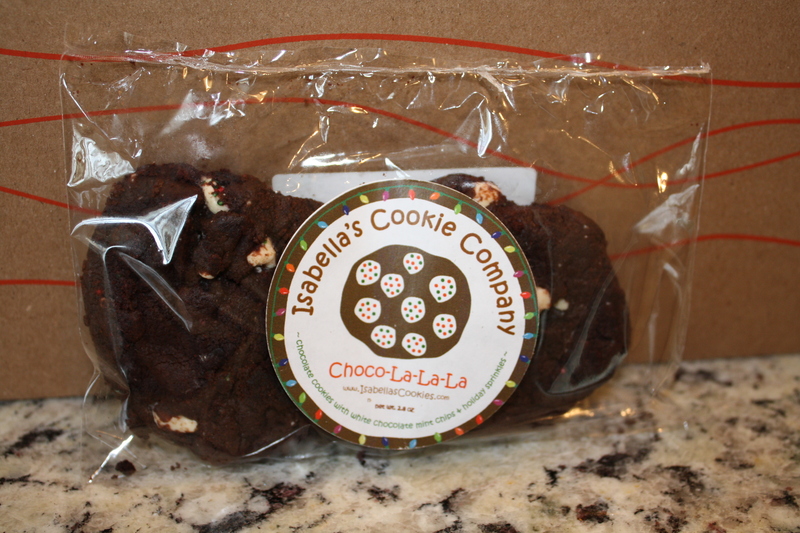 Isabella’s Cookie’s had white chocolate mint chips and red, green and white sprinkles. They were adorable and tasted great! I thought these would make a good gift/comfort food for someone far away at Christmas time! Peanut brittle is a childhood favorite of mine because my grandma used to make it. I love the salty sweet flavor combination of the peanut brittle and the chocolate. We all loved this one! 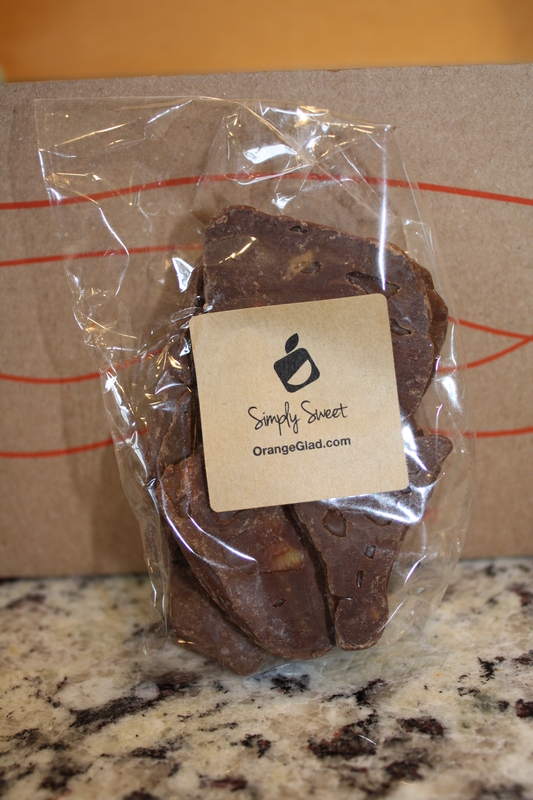 If you couldn’t tell from our glowing reviews, we’re completely in love with Orange Glad (I mean, chocolate treats delivered to my door, how can you not love it?). Each of the featured products seems to taste homemade, and has a fancy artisan feel. Orange Glad would make a great last minute Christmas gift this season! What do you guys think? If you want to check Orange Glad out, don’t forget to use coupon code “FAMCLASS10″ to score 10% off! Categories: Uncategorized | Tags: desserts, promo code, subscription box | Permalink.